Our Supplier Directory provides listings of companies that deliver business support services in Devon, Plymouth, Somerset and Torbay. You can filter organisations by location, type of support provided such as consultancy, mentoring, events and also by business topic such as start-up, finance, developing and growing. The Heart of the South West Growth Hub would always advise you to independently verify that suppliers listed in the directory meet with your needs and that you seek suitable references if required. Acronyms are committed to providing businesses with exceptional, tailored IT & unified comms that are fit for purpose and exceed our clients’ expectations. Built on a simple ethos to sell the correct solution, we have combined quality of service with a passion for technology, to become a trusted provider in our field. 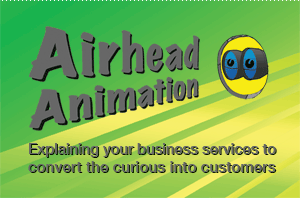 Airhead Animation help business owners and marketing professionals explain their business, products and services to their target audience by turning dry or complex business information into simple animated stories that people will watch and remember. Our animated videos help people understand how your products or services work and demonstrate the true value your business provides. Our goal is to help you grow your online reputation and find your future customers by telling your business information using illustrated stories that they will watch, share and remember. Every business has a story to share. We don't just help you tell it. We will help you plan track and share your video content to ensure you get a return on that investment. We are an Airbnb management company that promotes local tourisim by increasing guest bookings and linking them with the local community events. We specialise in making sue your guest house, B&B or room to rent is available on the largest booking site in the world. We optimise your listing, increase and manage your guest enquiries and then confirm your bookings. Our optimisation ensures your listing gets the best possible reviews on Airbnb and the highest level of enquiries. We operate throughout the South West of England and are helping local businesses benefit from the fast growing 'Shared Economy.' We would be delighted to offer a free demonstration on how we can help you obtain more bookings. Our aim is to improve the way our client’s businesses operate; accelerate their growth; reduce their costs; manage their risks; develop their talent and change the way they do business. In doing so, we focus on their agendas and the big issues they need to deal with. Altair Business Advisory is a "sole trader" business operated by Philip Key in Dartmouth, South West England providing Non-Executive Support, Advisory Services and Business Mentoring for Start-Ups, Venture Companies and SME's with high growth potential. A flexible service can be tailored to address the main issues affecting the business its Owners and Directors, delivered by Philip who has himself founded, grown, acquired and sold a number of businesses and therefore "has been there before"
A Business can succeed if the fundamentals are in place: "sufficient sales at a margin that will support all the costs and produce a profit, excellent service along the way, getting paid on time and looking after your staff". Sounds simple doesn't it, if only it was. Running a Business is complex with a vast number of activities that need to be constantly monitored, controlled and continually improved, activities that we can help you manage, avoid the pitfalls the classic mistakes, and help you take control and run a business infrastructure with strategies to create a profitable sustainable future. Altair based in South Devon can advise new businesses just starting out or help an established business improve its profitability, cash position and trading effectiveness. Being engaged on a Advisory, Mentoring or as a Non-Executive Director to suit the needs of the Company or the Individual, we work intensively to understand your immediate needs and focus on the quick wins whilst developing the longer term sustainable improvements you or your Company requires. domoredesign.com is a web based design platform on a mission to connect UK design students and recent graduates to small businesses who need good design assets. As anyone who knows the creative design industry will advise that there is a skills gap present of those that leave University without real commercial experience (https://www.designcouncil.org.uk/news-opinion/new-design-talent-economy-needs-you). Our platform addresses that and aims to support their skills development, showcase talent & get great unique design assets for small businesses looking to make an impact. Whether your focus is on successful growth, improving quality of life or just increasing operational effectiveness, our Pyramid Growth Plan will kickstart successful change. Brian Tipler's personal background includes driving successful and profitable growth in businesses from a variety of sectors and he also has extensive product design experience at corporate, consultancy and academic level. 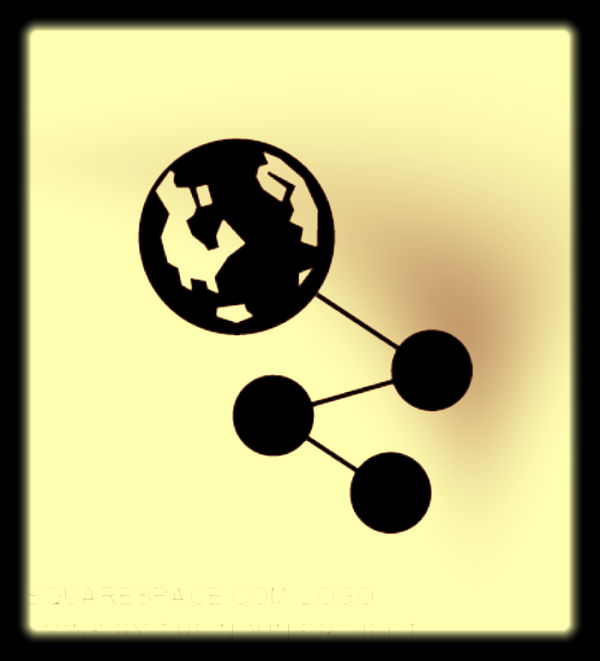 With this experience we adopt a "3-Dimensional" approach to solving the challenges in a business. This means reviewing all aspects giving a broader picture to explore all potential avenues for growth and a subsequent improved quality of life. Entrepreneurs and owner managers are often frustrated in their attempts to take their business to the next level of growth. Coaching for individuals and management teams is a process through which we can explore innovative ideas and opportunities, market viability and determine a clear pathway for turning visions into reality. Coaching enables entrepreneurs and executives to work on the business rather than in the business. To-date we have successfully coached directors and owner managers to significantly grow their turnover and margins, in some cases by a factor of 5, in a variety of sectors from construction through to electronics, creative and not for profit. Applied Business Solutions is a leading supplier of accountancy and business software and can offer you the very best set of tools to manage your business better. We specialise in providing you not only with the best fitting software but with a first class consultation process to help establish the root cause of issues and ensure that our recommendations to you are the most appropriate and provide an impressive return on investment. Providing this type of service has made us one of the leading resellers of Pegasus products in the UK. Our diverse range of clients varies in size, structure, location and industry type. From small start up businesses to major corporate and public sector organisations, all are given the same service regardless of size. Aro is a PR and marketing agency specialising in the composites industry and scientific and engineering companies. As a small group of highly experienced professionals, our philosophy is to work closely with your internal team to help it achieve its sales objectives. Delivering targeted solutions for composites, engineering & scientific companies. Augmentum offers practical business support to companies that wish to grow or those, who are facing challenging times, by working with the people in the organisation to develop. We help support you implement the right strategy for your business in order for you to achieve your goals. It may be assistance with sales and business development, operational issues or helping raise finance - all areas we can work with you and support you. With GDPR (General Data Protection Regulation) becoming a hot topic and requiring action from virtually every company we have developed a practical training support programme to help you implement it in a positive way that will help you manage your data to benefit both you and your customers.